In his new film, Jackie, Chilean director Pablo Larraín (Post Mortem, No) thinks he's getting behind the aristocratic facade of the former First Lady to reveal a tragic portrait of a woman trapped by an illusion. But all he does is create new illusions that fly like lead balloons. Larraín imposes lethargy on the material that's so thick the characters can't carry the weight of the myths he loads on their backs. The audience is also put in such a state of complete torpor (thanks to all the formal melancholy that is doggedly off-base and off-key) that the movie would be laughable if you could rouse yourself from the funk it puts you in. Working from a calamitous script by Noah Oppenheim, which was originally conceived for an HBO mini-series, Larraín sets a funereal mood complete with an onerous chamber score by Mica Levi that drowns the picture in lugubriousness before you can begin to ask yourself why you should be bowing your head in mourning. Jackie is so relentlessly languid and ill-conceived that it would be a camp favourite if it didn't take itself so seriously. The movie traces the life of Jackie Kennedy (Natalie Portman) from the days when she was First Lady in the White House through her interview with Theodore H. White (Billy Crudup) of Life Magazine conducted in Hyannisport in the days following the assassination. But Jackie has no true grasp of its subject, or even a tone in which to claim it. Perhaps because, in his Chilean pictures, Larraín saw the spectacle of pageantry in his own country as a cover for the totalitarian brutality of Pinochet, he's come to impose the same perspective on the era of the Kennedys, seeing the assassination as ultimately, to quote Malcolm X, the chickens coming home to roost. But his perspective couldn't be more inappropriate. "Merely as a paragon of high fashion and elegant good taste, Jackie [Kennedy Onassis] could not have won the position she retained over several decades in millions of people's affections. It was her baptism by gunfire that deified her," wrote culture critic Camille Paglia in The New Republic, eulogizing the former First Lady in 1994 when she died at the age of 64. "In the blood-spattered limousine in Dallas, an archetypal pietà was forced on Jackie. Cradling the shattered head of state in her lap, she became Michelangelo's grieving Madonna, caught between horror and admiration at the wounded body of her beautiful son." Before her husband's assassination, Jackie Kennedy's elegance and deportment were described by many as the nearest thing to royalty that America had attained. 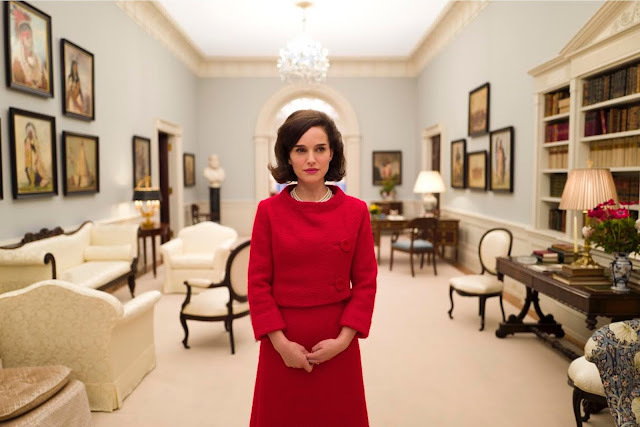 "Jackie, masquerading as the perfect adornment, was a master of manipulation and control, not of the psychological realm, where she was at the mercy of adulterous men, but of the physical realm, which she brought to the highest level of refinement," Paglia explains. With that classical refinement, she was able to build a bridge that, combined with the populist idealism of her husband, created a potent utopian image through the help of television – where America became a picture of aristocratic grandeur in which inclusion and possibility also found root. When this royal kingdom was shattered by the gunshots in Dallas, Jackie blended stoicism and formal ritual in a funeral procession that borrowed from the country's roots in pageantry and folklore to create a regal finale to what many came to idealize as the age of Camelot. None of the power of these moments is dramatically rendered or addressed in Jackie. Instead of exploring how Jackie Kennedy projected an image of refinement and dignity, Larraín does the exact opposite. When he depicts her in the 1961 televised tour of the White House, it's not to reveal, as the actual TV show did, her assertive elegance while she demonstrated her belief in historical continuity as seen through an artistic sensibility. In his view, Jackie is a pawn of the TV camera that creates a fake front disguising a disgruntled lady who is barely able to remember her lines and smile properly. While he fawns over a Jackie whom he sees as a brittle woman oppressed by an imposed image of refinement, he ends up treating this allegedly real Jackie with horrible condescension. For example, instead of depicting her determination to wear the blood-stained dress from Dallas in her trip back to Washington as something out of Greek tragedy, or out of what Paglia called "the polarities of womanhood: the pastel pink of girlhood and romance and the barbaric blood red of birth and death," Larraín gives us a Jackie out of a creaking late-night soap opera, her bloody clothes, and an emblem of a woman who has been betrayed by those she trusted. If Jackie is boneheaded in its views, it's equally crackers when it comes to the performances. 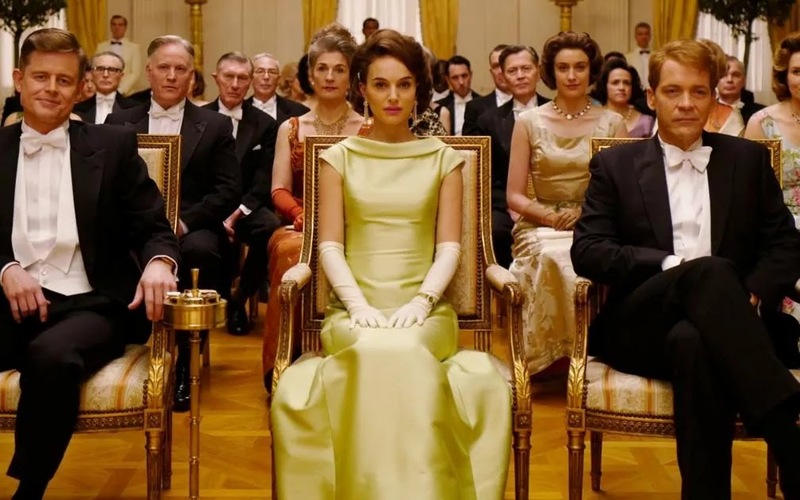 While Natalie Portman looks the part of Jackie Kennedy, and gamely mimics her soft-spoken phrasing, she barely registers her personality. As talented as Portman is, her career has been an erratic series of choices in roles that indicate her judgment is sometimes impaired. Watching her determined flailing in Black Swan, or her mannered steeliness in Jackie, it's clear she can't recognize a bad part when she sees one. She goes at each one with such determined zeal that she only ends up only magnifying its flaws. Just about everyone else is horribly miscast and can't help but show it. The talented Peter Sarsgaard, as Bobby Kennedy, looks like he's desperate to avoid the gaze of the camera while plodding morosely through dialogue as stupefying as "I shouldn't have pushed Jack so hard on Castro." John Hurt even turns up as a priest with handy Biblical parables that would ordinarily be enough for a terrific comedy sketch, but he ends up weighing the movie down even further in solemnity. Only Billy Crudup, as White (credited as 'The Journalist,' perhaps to protect the innocent), seems to know how bad a deck he's been dealt. His scenes have a peculiar jump. Interviewing Jackie in an adversarial tone makes little sense dramatically, but it does make sense if you consider that the actor angrily spitting out these lines is probably responding to his disbelief that he was asked to speak them. What's lost in Jackie is an attempt to examine a period when youthful sophistication began to capture a nation hungry for glamour after the sleepy Eisenhower years. Especially in light of the current travesty unfolding in the new Trump administration, the Kennedy era (at least in its image) gave Americans an appealing sense of decorum that could ride alongside its more rugged comportment. Unfortunately, Pablo Larraín has no sensual appetite for the pagan rituals of politics which Jackie Kennedy brought to life in her brief time in the White House. What he's brought forth instead in Jackie is a movie about a dynamic woman that barely has a heartbeat. 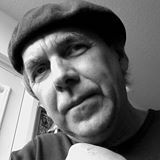 – Kevin Courrier is a freelance writer/broadcaster, film critic and author (Dangerous Kitchen: The Subversive World of Zappa, Randy Newman's American Dreams, 33 1/3 Captain Beefheart's Trout Mask Replica,Artificial Paradise: The Dark Side of The Beatles Utopian Dream). Courrier teaches part-time film courses to seniors through the LIFE Institute at Ryerson University in Toronto and other venues. His forthcoming book is Reflections in the Hall of Mirrors: American Movies and the Politics of Idealism.